February is American Heart Month, and your #MonthlyMission is to help spread the word about the importance of heart health. Mayo Clinic is dedicated to quality heart care and an advocate for helping you keep your heart healthy. Join Mayo’s social media campaign to spread heart health facts, nutrition tips and news from heart experts. 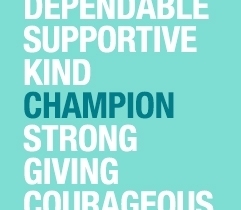 Check out the list below for your actions. Block your schedule, and take time out of your Thursday to catch the Facebook Live session with Francisco Lopez-Jimenez, M.D., cardiologist, to talk prevention. 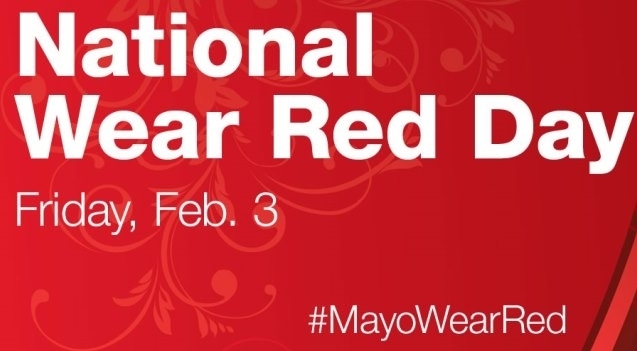 Join Mayo Clinic on Friday, Feb. 3, for #MayoWearRed, and take a picture of your heart pride. Post it on your Facebook or Instagram account, and use the hashtag #MayoWearRed. Mayo will repost your photos on its accounts. Follow the Mayo Clinic Facebook page and Mayo Clinic Instagram for details and posts to share. Take the heart health challenge this month, and get your friends in on the action. Mayo will have recipes, the latest in heart health information and interviews with its heart experts. Follow Mayo on Facebook and Twitter to share and support American Heart Month. Learn more about Mayo Clinic Cardiovascular care. Thanks for your support of American Heart Month and of the American Heart Association on the First Coast!